Katy Perry at the "Smurfs 3d" premier in NYC yesterday, I like her blonde hair. Tisha Campbell at a benefit in Beverly Hills, she looks great, apparently she has a serious lung disease called sarcoidosis which causes scaring of the lung, we wish you good health for the future. But she looks great!! 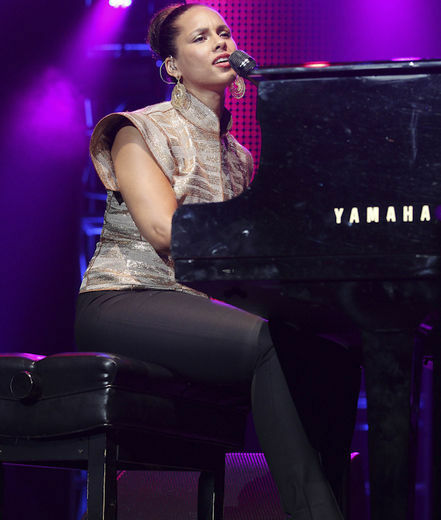 Alicia Keys performing on stage at the Hard Rock Music Event " in Miami, she has been relaxing by the pool with her family, not mad at you Alicia enjoy your life.